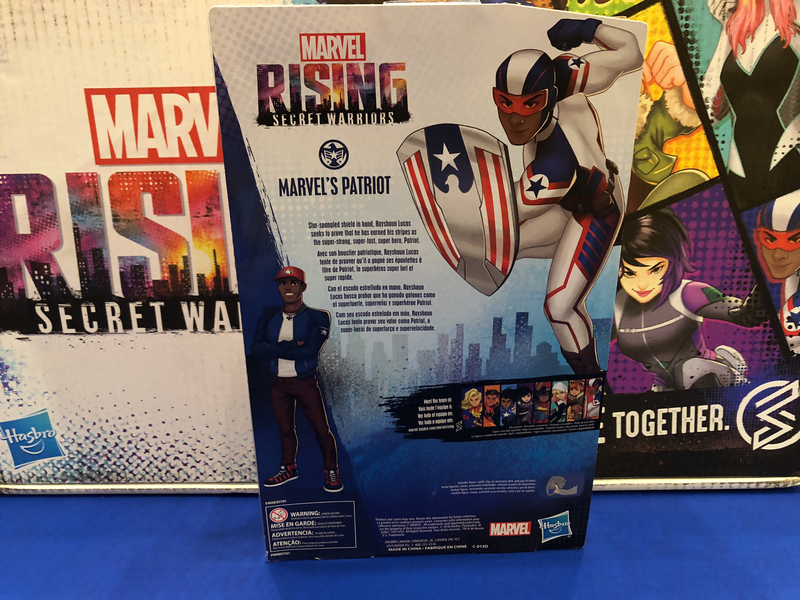 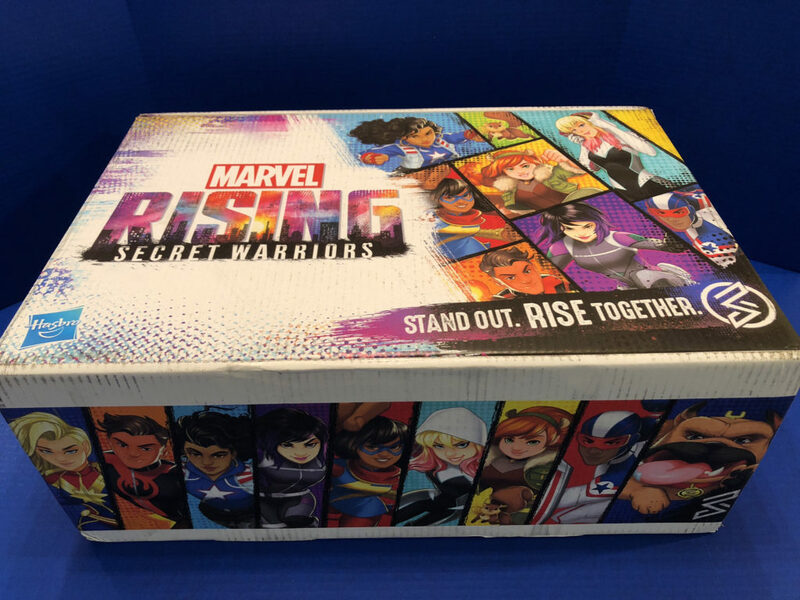 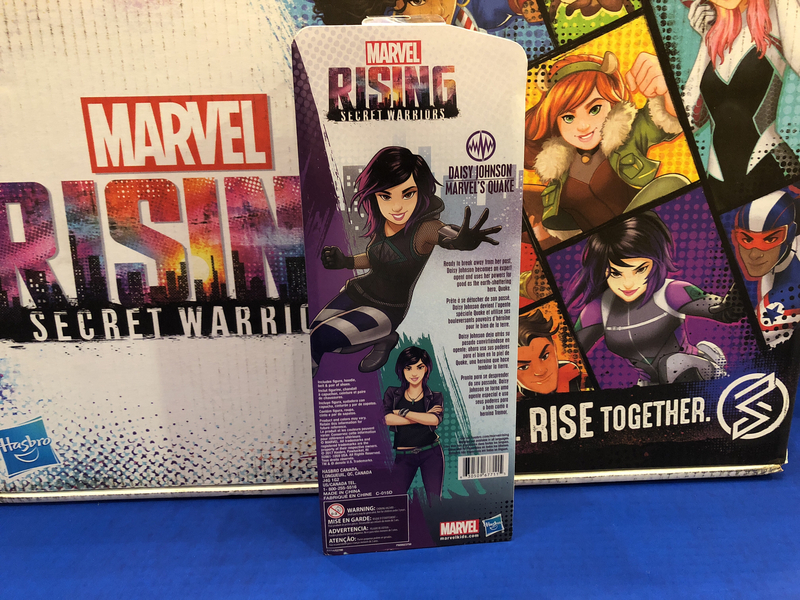 I may not have seen Marvel Rising: Secret Warrior on Disney Channel yet, but that doesn’t mean I wasn’t excited when a giant box from Hasbro promised a look at a new toy line inspired by the animated TV movie. Inside the themed box were ten dolls based on seven characters, plus a web shooter. 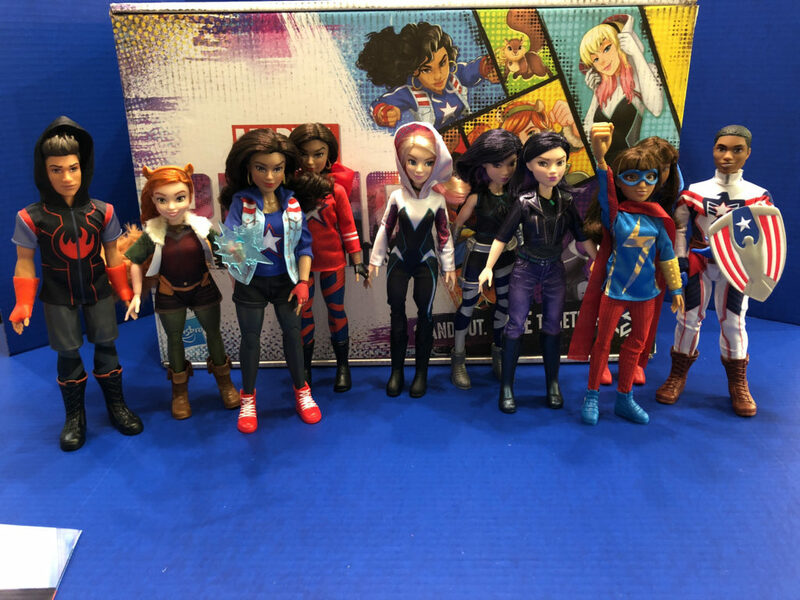 While Marvel characters certainly appeal to both genders, many of these toys feature soft clothes that can be swapped with other outfits. 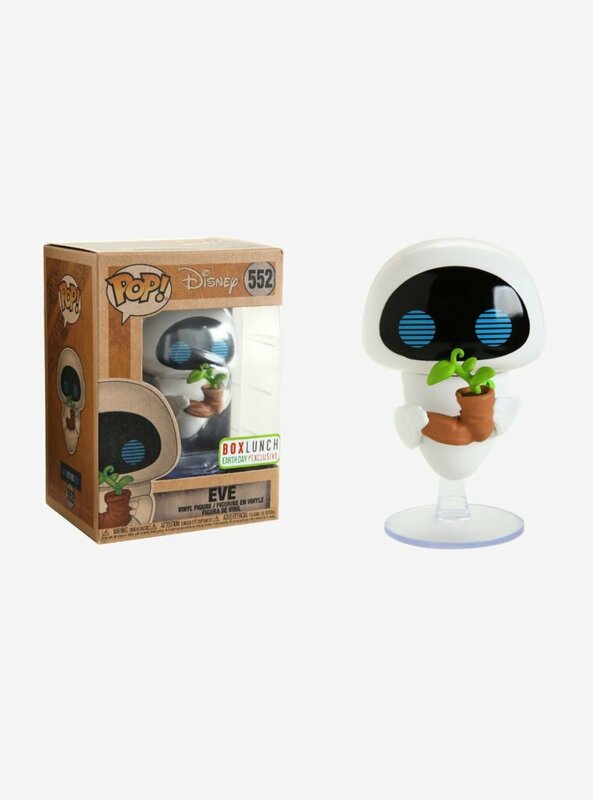 We will go through the collection by character. Ms. Marvel comes in two looks. The standard doll features a hoodie design that’s a little more relaxed, referred to as her Training Outfit. 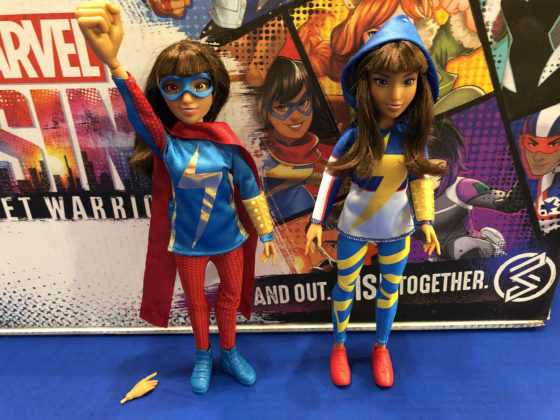 The higher quality doll in her hero outfit features a better costume, articulated arms and legs, and real pants vs. the painted ones on the training doll.This doll also features an alternate hand making a giant fist, which can be replaced with a standard hand. 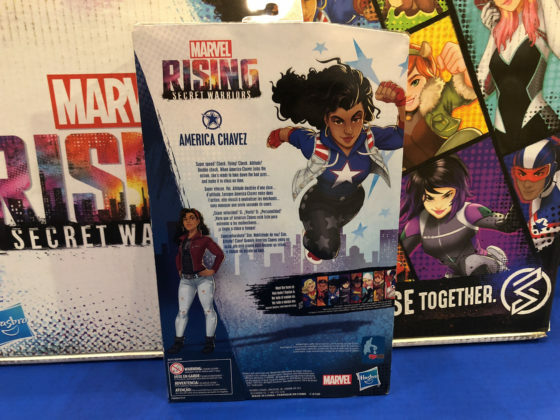 America Chavez also has two looks, her Training Outfit and Hero Outfit. The hair is a lot nicer with the Hero Outfit and the costume details are more pronounced, including a jacket and earrings on this doll. 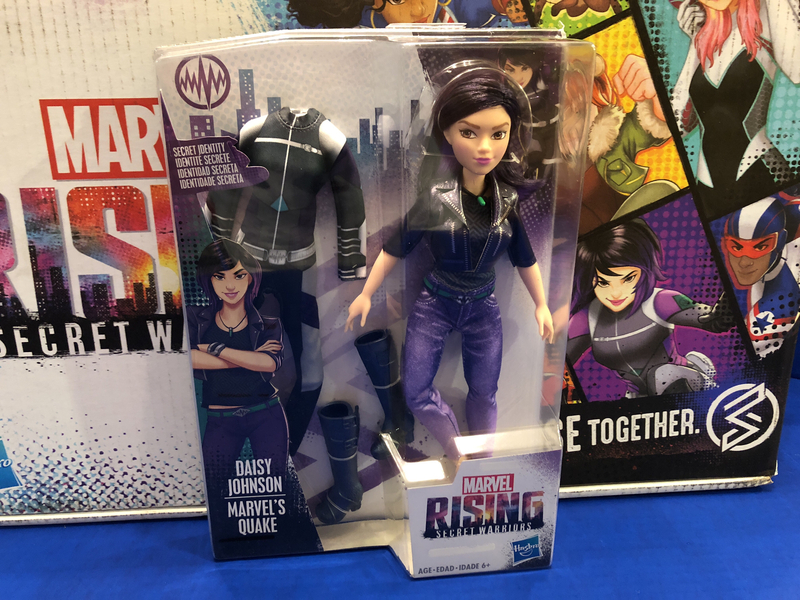 Daisy Johnson is gearing up for her super alter ego, Quake. Kids can play with her in training form and another doll features a more deluxe everyday look for Daisy along with her hero outfit that she can change into. 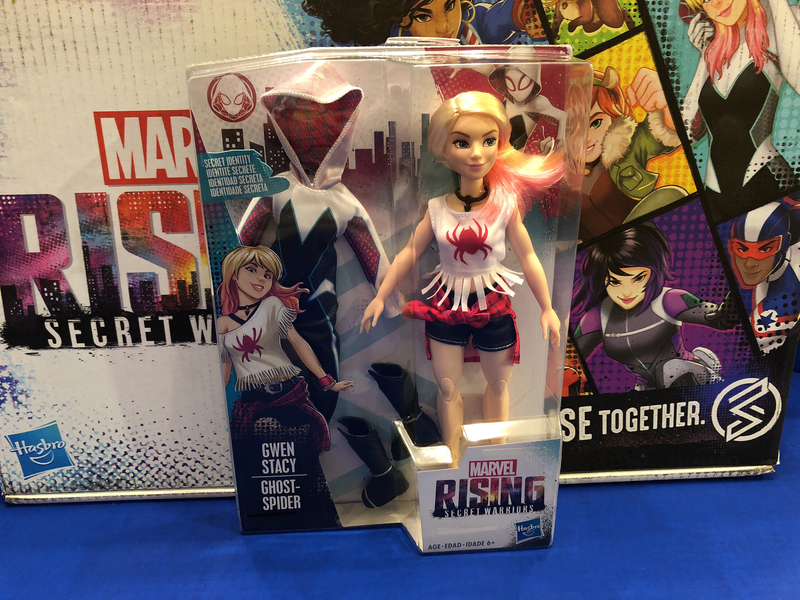 Gwen Stacy is Peter Parker’s friend and has inherited his radioactive powers. Hasbro sent us one doll for her, appearing in an everyday look with a suit she can change into. 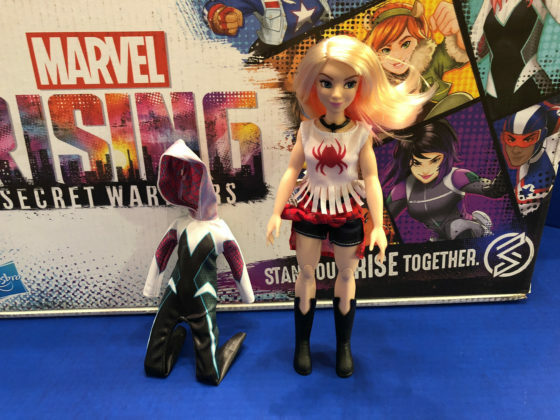 There is another doll already in her Ghost-Spider outfit that also comes with a mask. 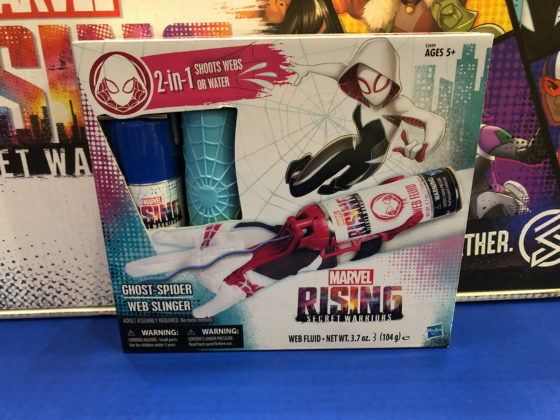 Kids’ can pretend to be Ghost-Spider with her own version of the popular Web Slinger in pink and blue instead of Spider-Man red. 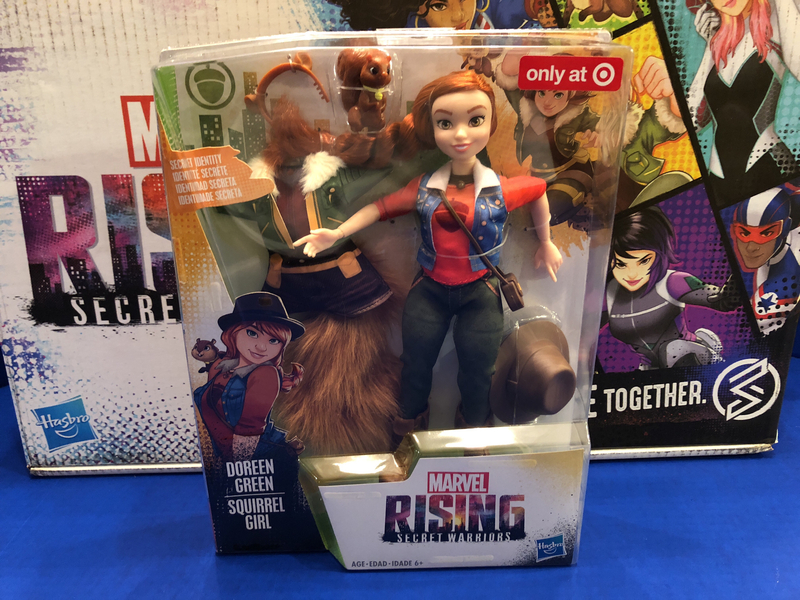 This fan favorite character is available in a Secret Identity pack with hero outfit exclusively from Target, which is the version I was sent for review. She comes with a squirrel friend and her outfit can be changed, including a tail that connects to the back of the doll. Inferno has plastic hair rather than rooted like the female characters in the collection. 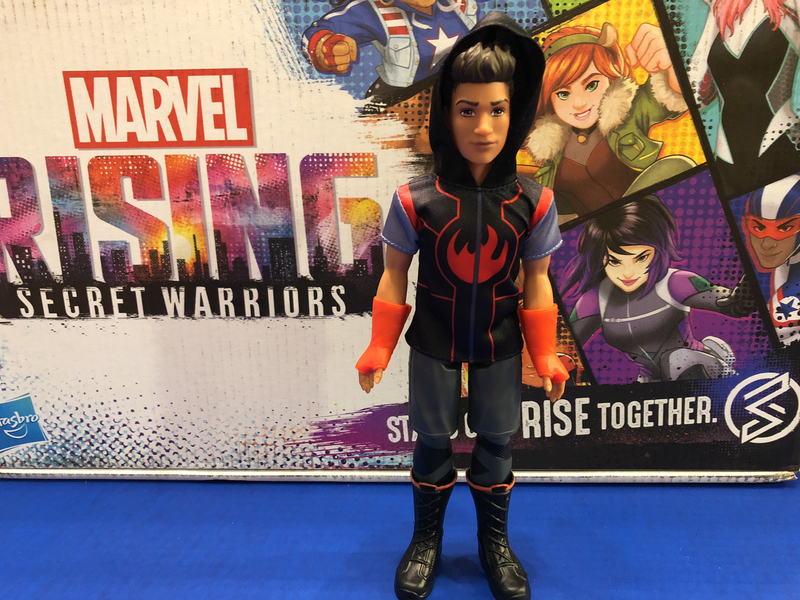 His hoodie is soft, whereas the rest of the character is hard plastic, including his shorts. 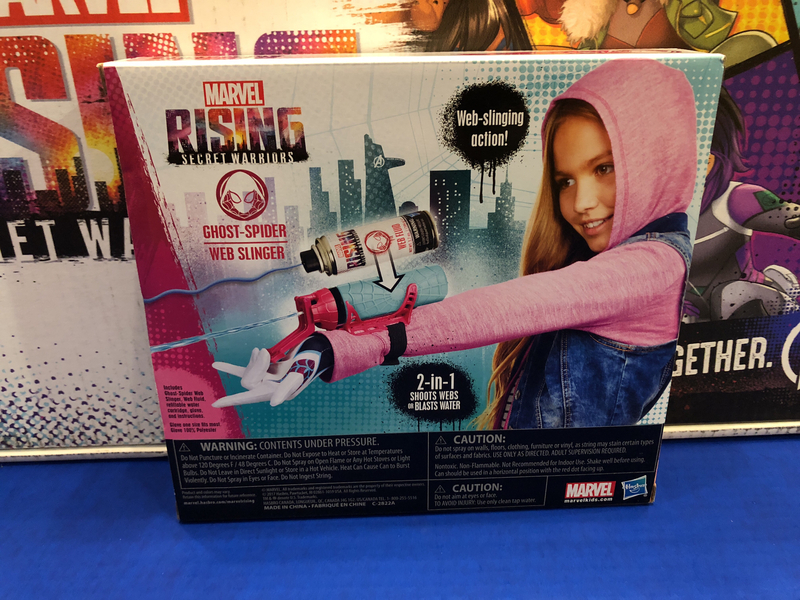 The gloves are removable rubber. It’s great to see a Marvel toy line that accurately represents the mass appeal of these characters. 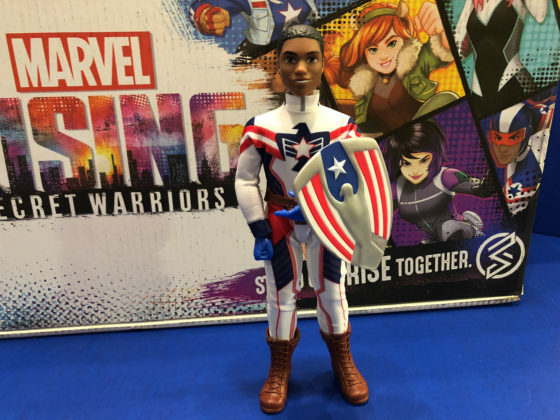 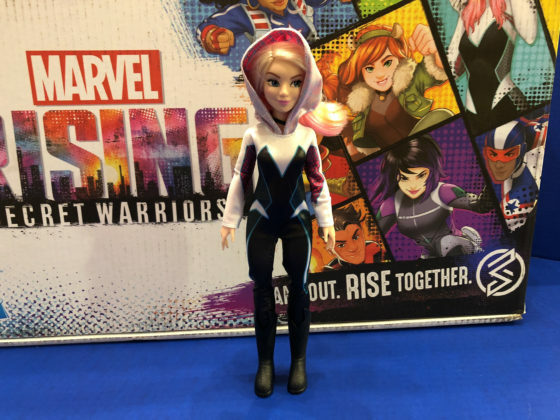 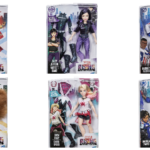 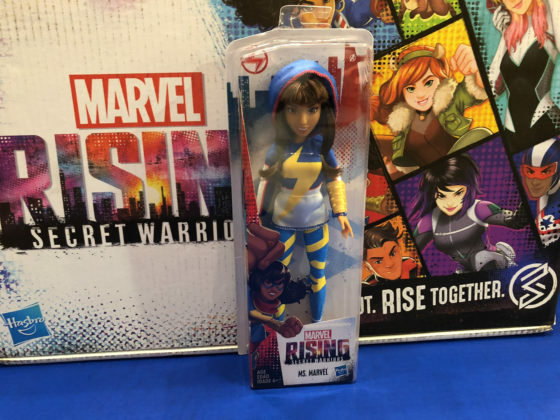 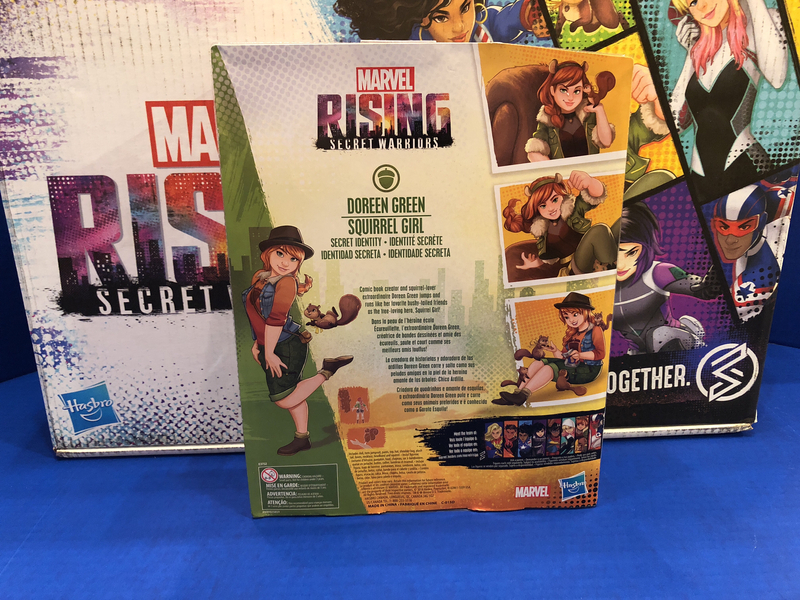 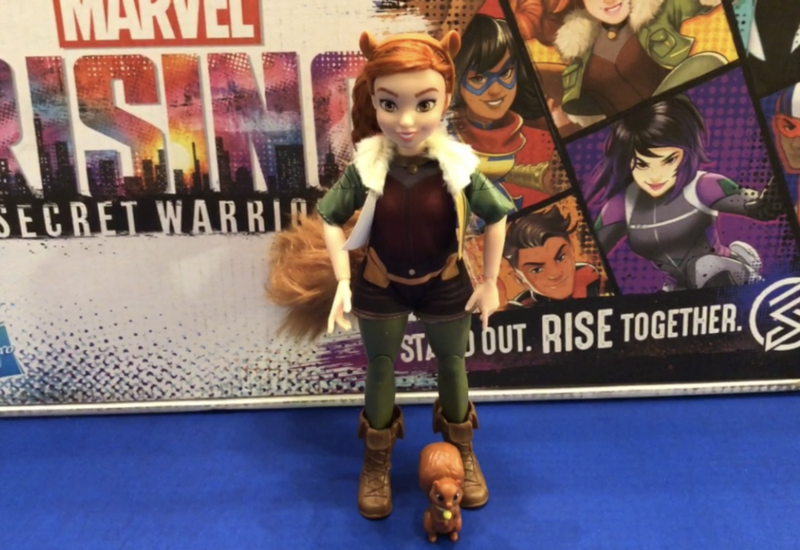 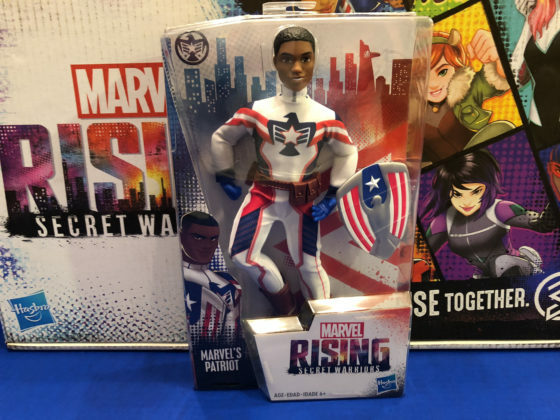 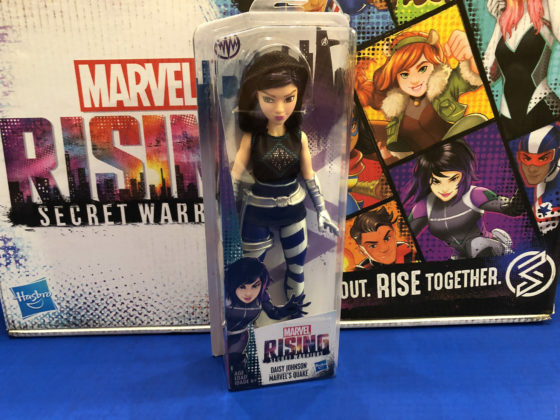 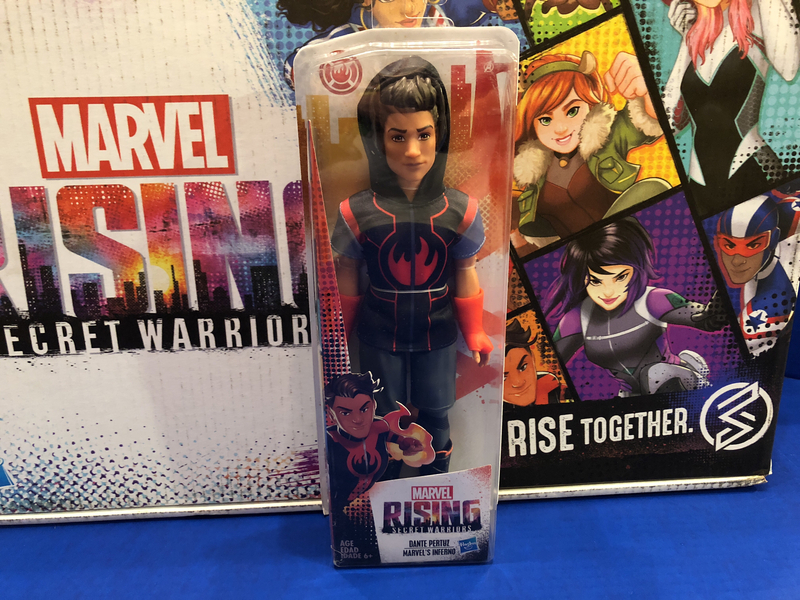 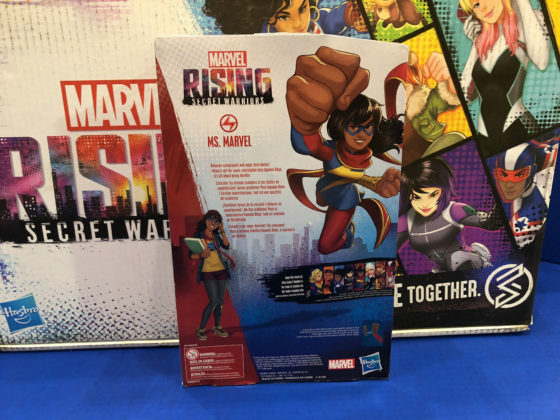 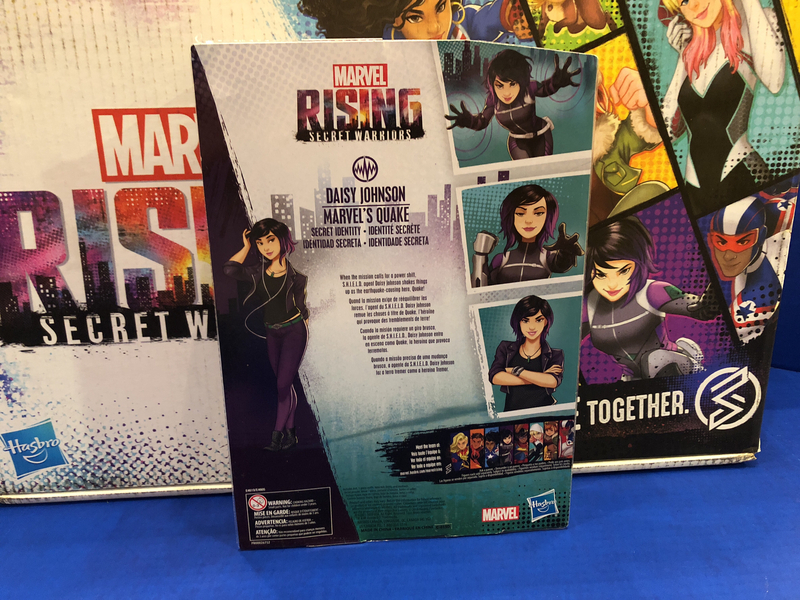 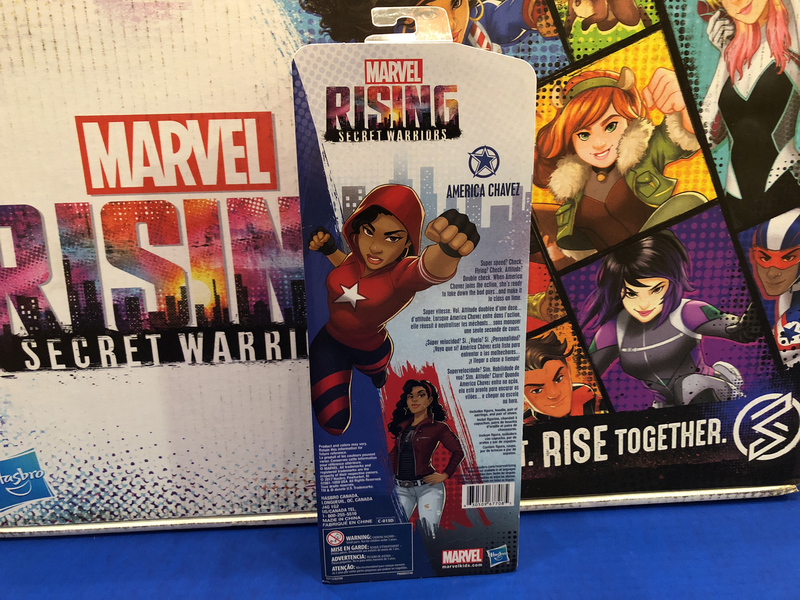 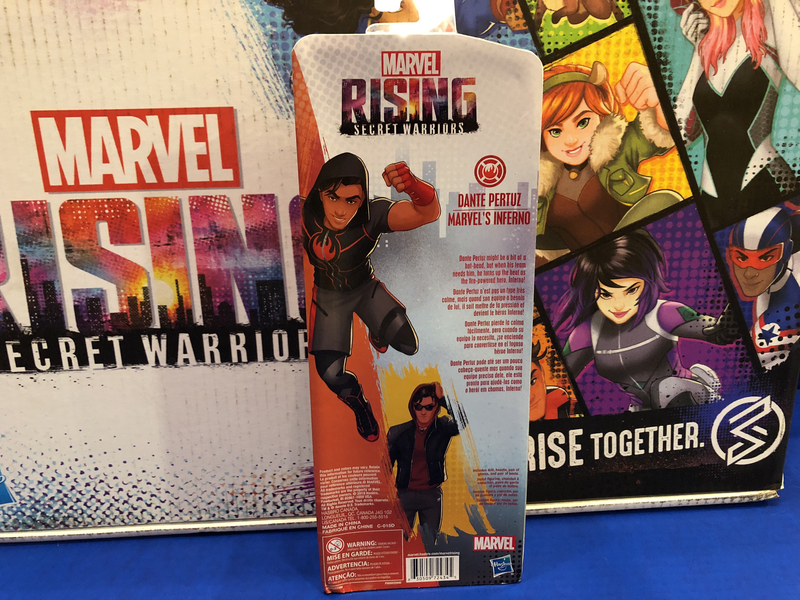 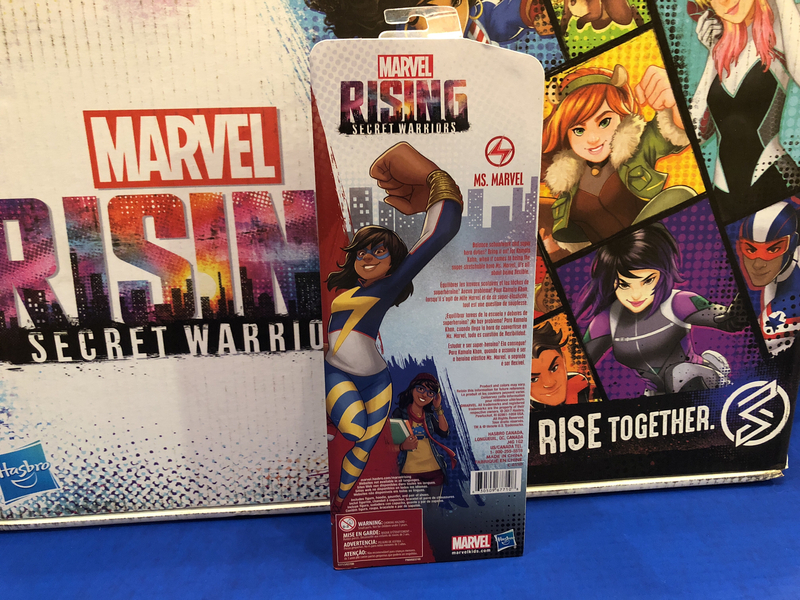 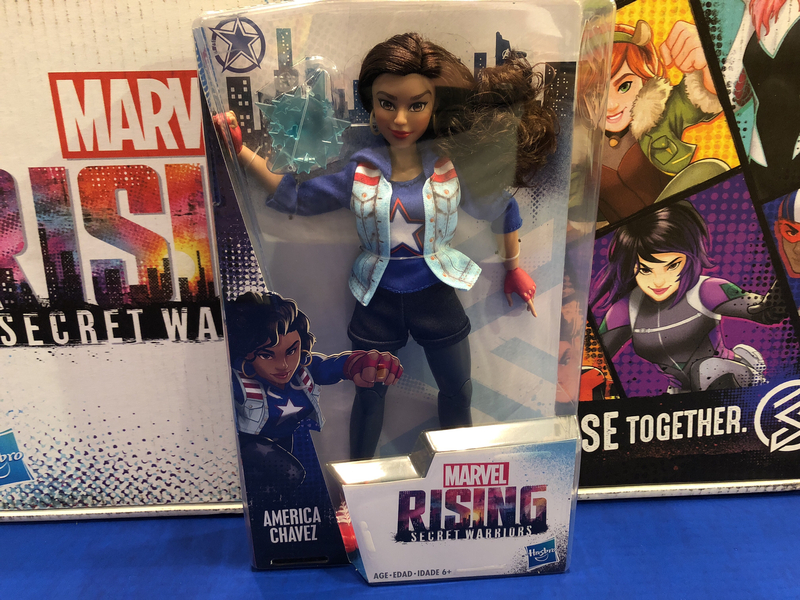 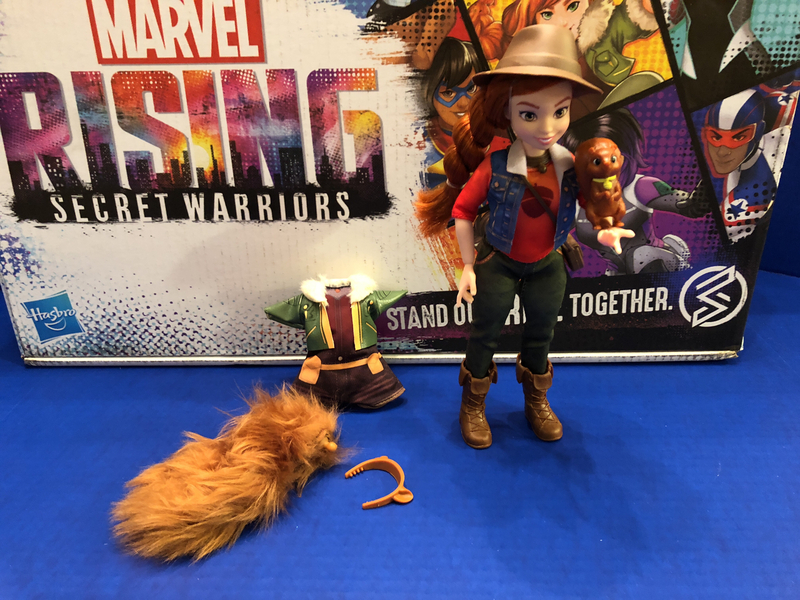 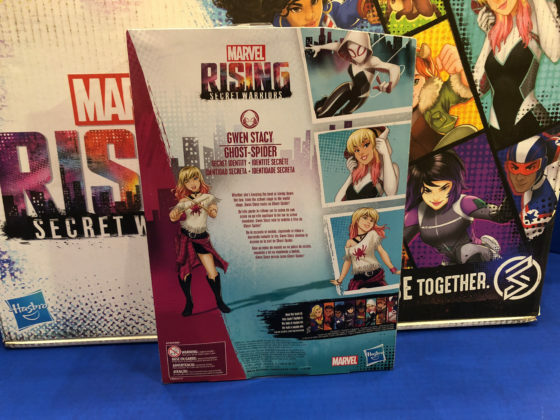 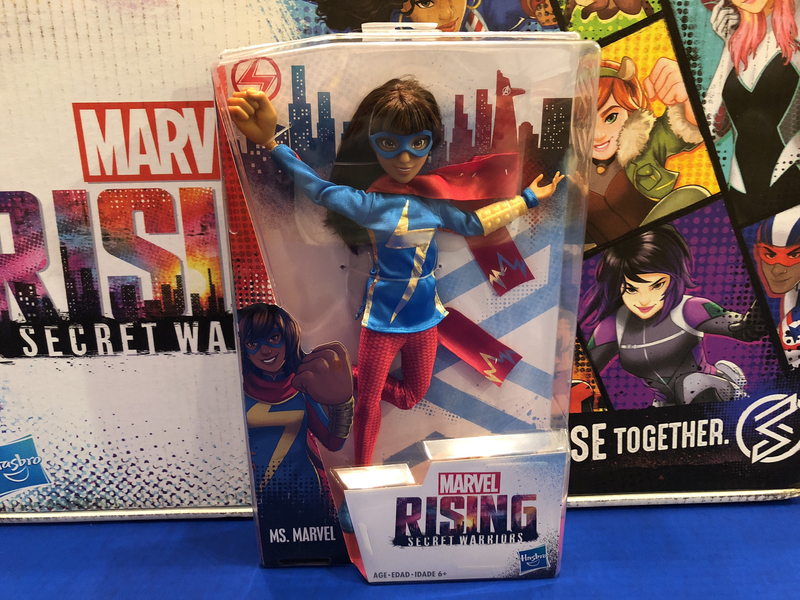 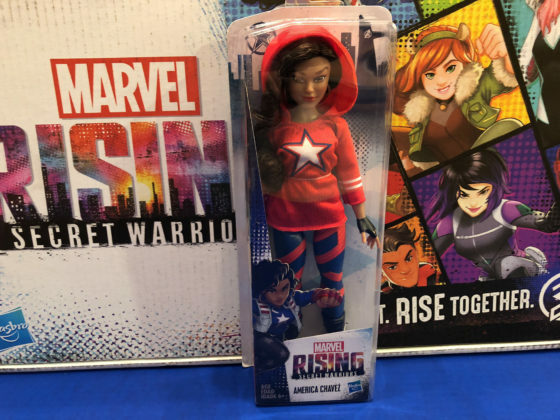 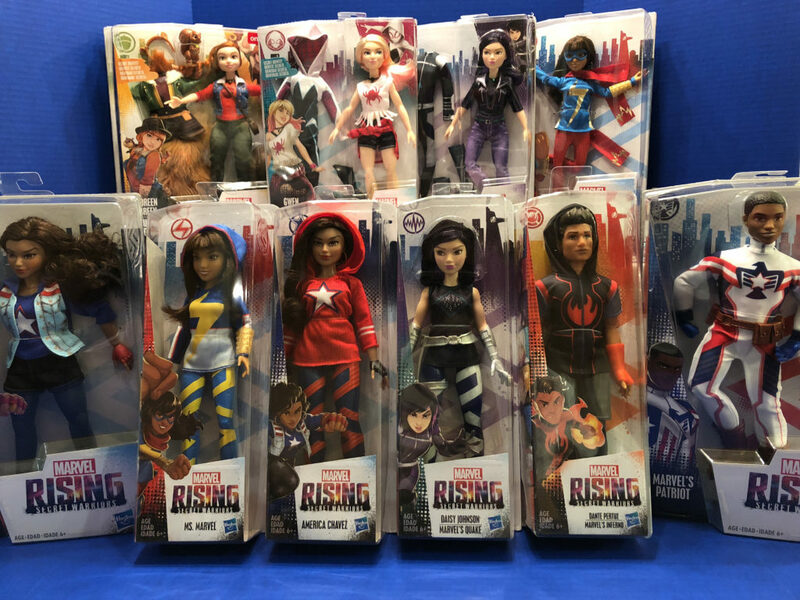 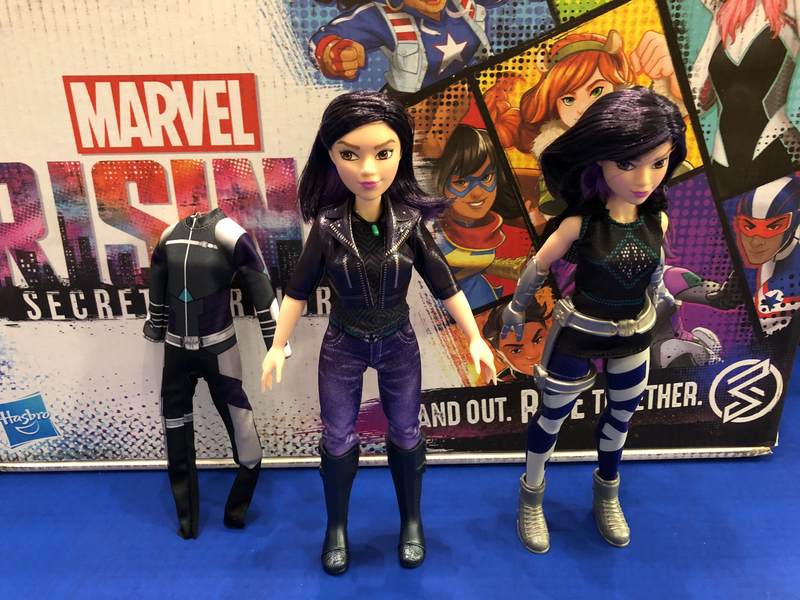 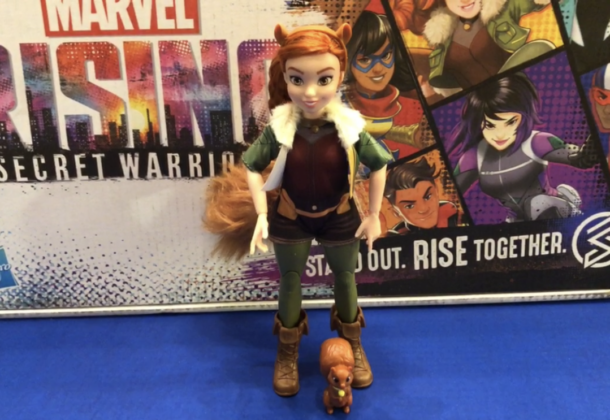 I dislike classifying toys for specific genders, but the Marvel Rising: Secret Warriors toy series are dolls, not action figures, and will likely be more popular with girls. 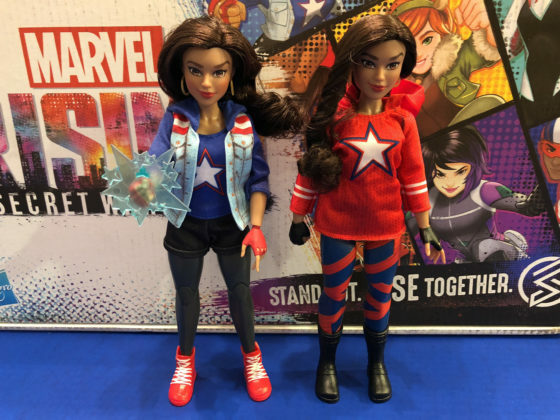 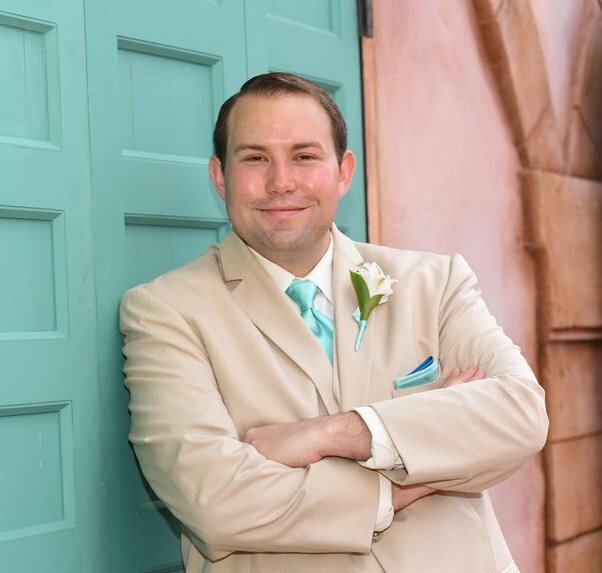 They primarily feature removable or swappable outfits with rooted hair that can be styled, adding play elements that you won’t find with standard action figures. 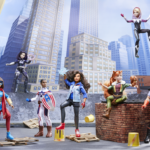 Girl power is back! 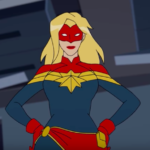 I’m excited to see the line expand in the future and hope this as a sign of what we can expect when Captain Marvel hits theaters next year.